In the late autumn His Highness goes to the sea, together with the Duchess and Court and other gentlemen and gentlewomen of the city, to the north of the port of Goro where, among other exquisite buildings, he has constructed a sumptuous palace in a wood known as Mesola. His Highness, at a truly heroic cost, has surrounded the wood with a wall twelve miles long, with four gates placed according to the four domains of the sky, which are held shut lest the animals escape and can be opened when required. 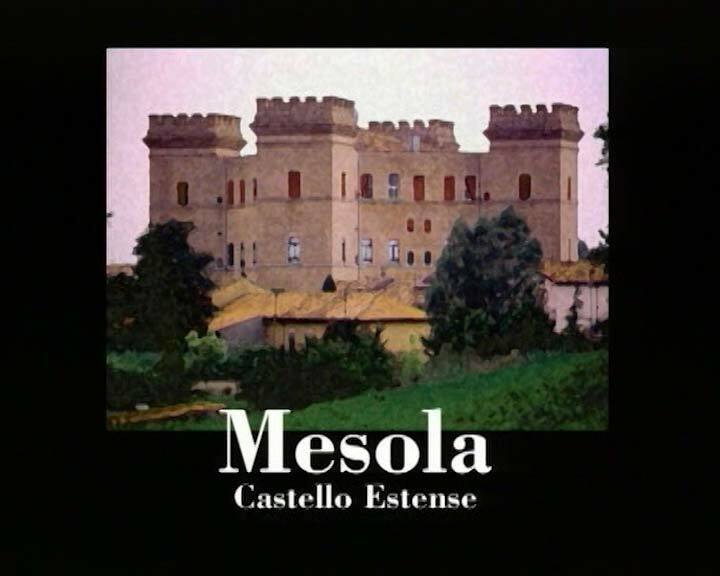 This is how the man of letters, Annibale Romei (Discorsi 1586), describes the palace of Mesola and its surrounding walls, enclosing canals, woodland areas and menageries for the animals. In 1578, on completion of the draining works in the marshland areas to the east of Ferrara, work began on the construction of an extensive walled circuit on the river island of Mesola, with twelve quadrangular turrets containing a core group of stately buildings gathered around a ducal palace square, designed by the architect and engineer Marco Antonio Pasi from Carpi. Until 1598 the most skilled court craftsmen were active here, engaged in an ambitious project with both strategic and commercial potential. An authentic delta township that would later expand as a business centre and port, capable of intercepting the trade on the Adriatic in order to send it inland. During its heyday the Mesola palace was adorned with polychromatic designs on the entire facade and crowned with decorations in glittering glazed pottery. Here was the exemplary manifestation of the perfect transfiguration of the territory. Pervading nature and artifice, the useful and the wonderful, involving the entire landscape, the woods and the river, in a truly unique combination. The court usually spent the autumn hunting in Mesola, favoured by the abundant presence of game. Hunting was a collective event within the court culture, actively promoted by the Duke, together with other groups of distinguished guests, both Italians and foreigners. In 1599 the neighbouring Republic of Venice, ascertaining the nature and importance of Mesola’s potential commercial value, ordered the “Taglio di Porto Viro”, which sabotaged the entire project by rapidly silting up the inlet and port of nearby Goro, which previously gave direct access to the Adriatic Sea. After a change of ownership, from the Papal States to the French Republic, it was only in 1952 that the estate came under the control of the Po Delta Authority and is now owned by the Province of Ferrara.